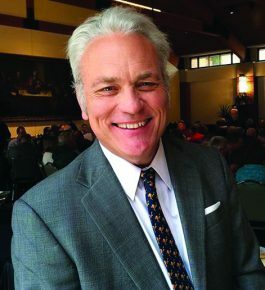 Conversations about education begin and end with justice—the right of every child to learn in order to live a productive life, insisted Charles Foster Johnson, executive director of Pastors for Texas Children, a partner of Fellowship Southwest. Pastors for Texas Children developed as a ministry of the Texas Baptist Christian Life Commission, then led by current Cooperative Baptist Fellowship Executive Coordinator Suzii Paynter. She tapped Johnson, a longtime Baptist pastor, to head the fledgling endeavor. Five years after it incorporated, PTC now includes 1,000 congregations, and members span the political spectrum. Although most state constitutions mandate free public education, supporting public schools is an uphill climb, Johnson said. “Funding policies are starving our schools,” he pointed out, citing pressure on lawmakers to approve vouchers, which transfer public money to private schools; to fund charter schools, “some of which are good, but not locally controlled”; and to ignore pleas for early childhood education. That’s why advocacy for public education—including funding—is a key component of PTC’s “wraparound care for schools,” Johnson noted. PTC advocates for education finance reform as a step toward eliminating systemic injustice, which often under-funds schools in poor communities. “You swore to uphold the Constitution by funding public education, and we’re going to hold you accountable,” he tells legislators. PTC’s other major component connects schools with local congregations. PTC helps churches establish relationships that support teachers through encouragement and prayer; provide supplies so teachers don’t have to spend their own money on necessities; set up weekend and summer feeding programs for hungry children; and create one-on-one mentoring relationships between students and church members. PTC has caught on because “Texas is the red-hot center of the battle for public education,” he observed, adding the two-year Texas education budget is $56 billion. But the organization can be replicated, he said. Pastors for Oklahoma Kids has launched, and Johnson is organizing leaders in places such as Arkansas, Alabama, Kentucky, Mississippi and Tennessee. He envisions Pastors for America’s Children, a national organization, to take on federal policy. Follow them on Twitter, @pastors4txkids, and Facebook, Pastors For Texas Children. Meet your local principal and find out how your church can help your nearby school. Pastors for Texas Children from Cooperative Baptist Fellowship on Vimeo. This article was first published in the Summer 2018 issue of fellowship! magazine, the quarterly publication of the Cooperative Baptist Fellowship. This special issue is devoted to Fellowship Southwest, CBF’s new regional network launched to strengthen ecumenical collaboration and to produce positive change in Oklahoma, Texas, New Mexico, Arizona and Southern California. Visit www.fellowshipsouthwest.org to keep up with the work of Fellowship Southwest. Subscribe to fellowship! magazine and CBF’s weekly e-newsletter fellowship! weekly at www.cbf.net/subscribe.